The Hall is not open to members of the general public as it is very much a working Hall with hundreds of events taking place during the year. However the Company likes to accommodate as many organised group tours as is possible and we have had recent visits from art and historical societies as well as from women’s institute and pensioner groups. A regular visitor has been Secret London Walking Tours and members of the general public can join one of the tours through their web site. 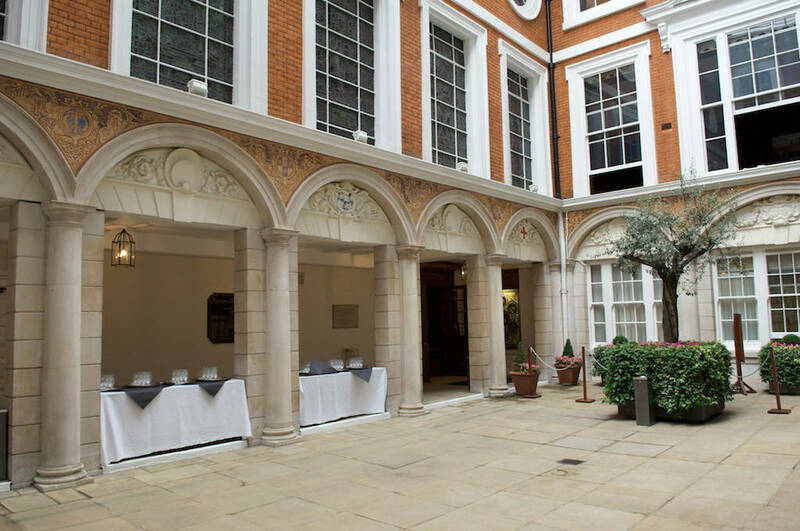 The Hall’s main entrance is directly opposite the Dowgate Hill exit of Cannon Street Underground station. 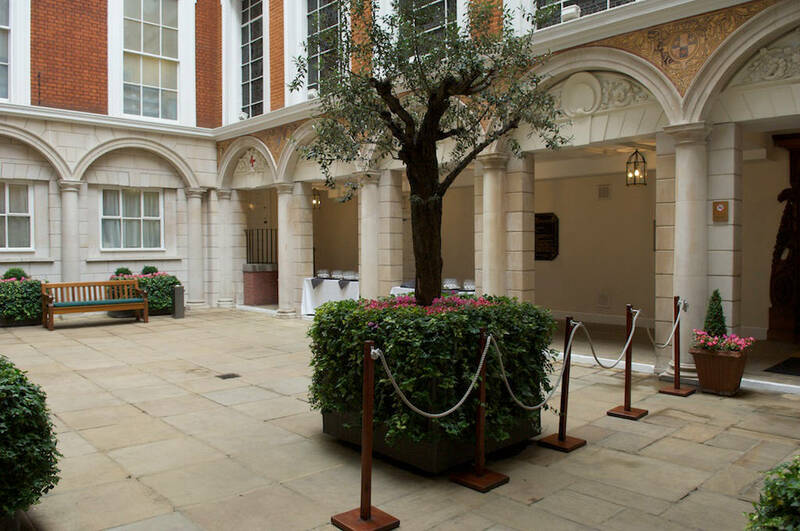 Guests enter our secluded Courtyard, shaded by its fifty year old olive tree, through a discreet entrance on Dowgate Hill. It provides a peaceful respite from the bustle of the City outside. The Courtyard can entertain up to 120 people for al fresco drinks. 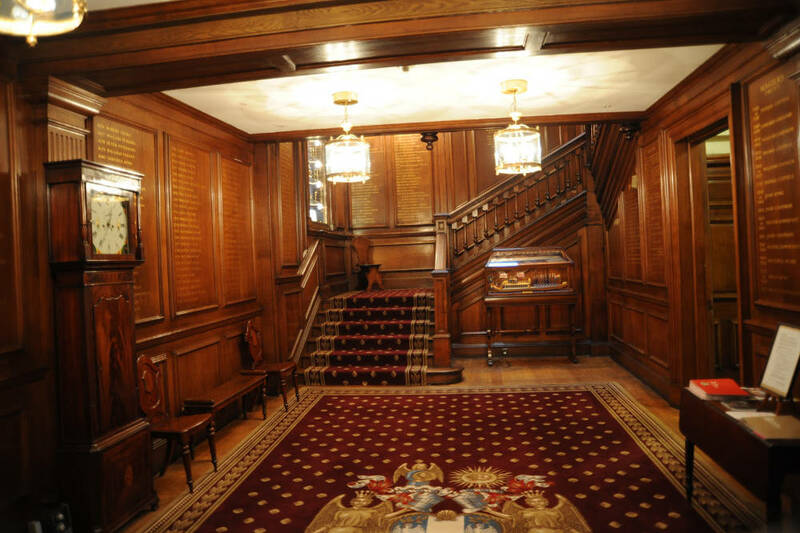 A splendid staircase leads from the Lobby up to the Banqueting Hall and Parlour. The panelled walls are embellished with the Company’s coat of arms and the names of the last 435 Masters of the company. Full cloakroom facilities are available. 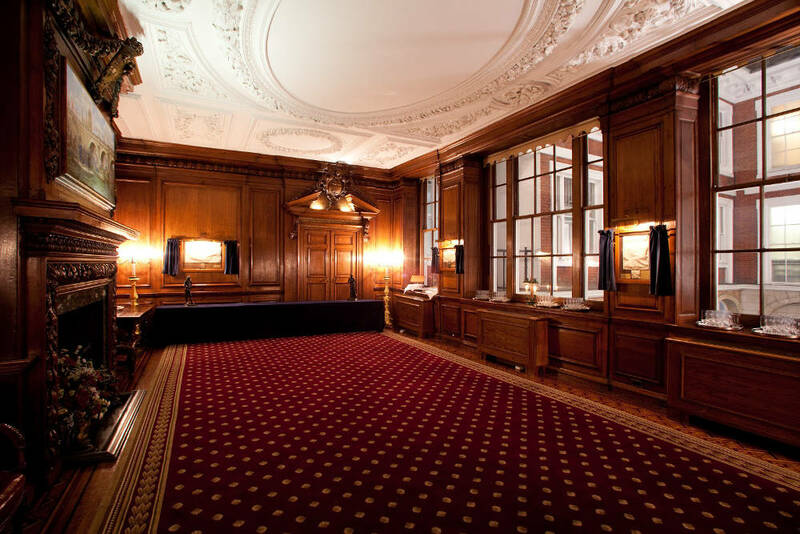 This beautiful room dates from the seventeenth century, when Sir Joseph Sheldon, Lord Mayor of London in 1676, commissioned the oak panelling. The Parlour can receive guests before or after meals, or host smaller and more intimate luncheons or dinners. It can also be fitted out as a conference room for important business meetings. Seating up to a hundred guests, this is one of the most beautiful Halls in the City. 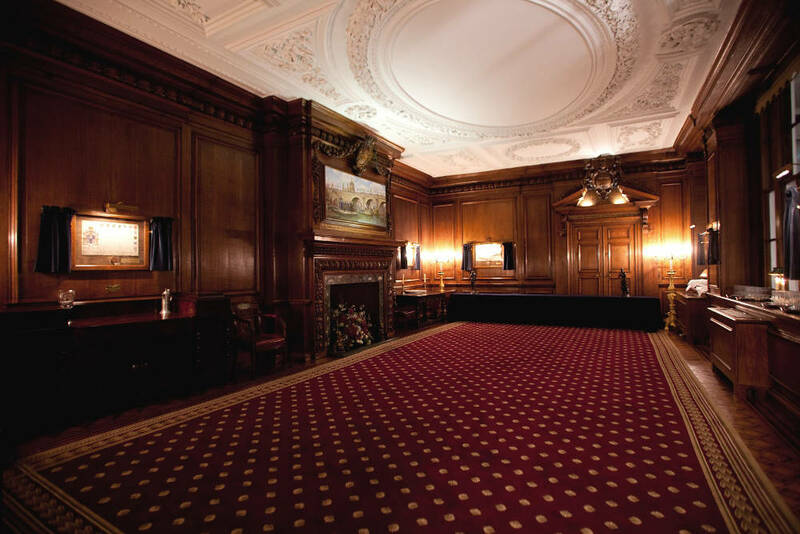 The elegant ceiling dates from 1868, when the original roof timbers were replaced. The south east corner of the Banqueting Hall was damaged during the Second World War, but was completely renovated between 1947 and 1955. 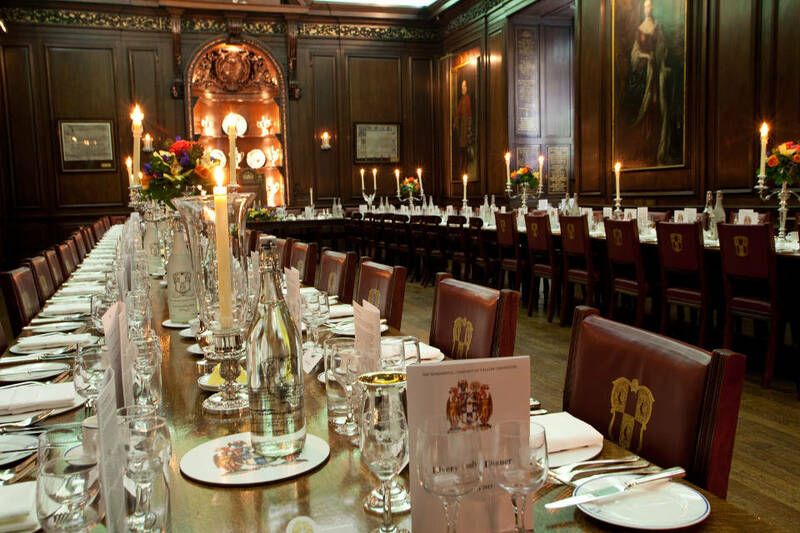 Heraldic stained glass and fine paintings, combined with fine oak panelling, create the perfect atmosphere for Livery dinners or indeed any special occasion. 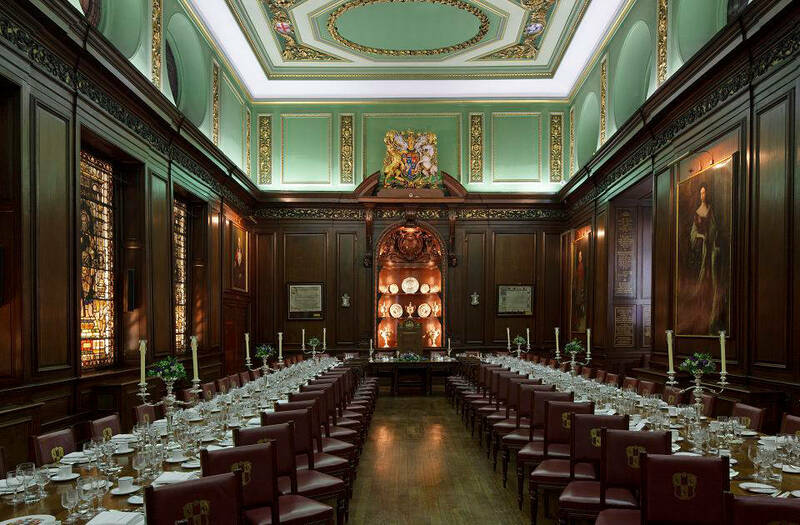 The Court Room is one of the original purpose-built Stuart court rooms of London, and retains its seventeenth century seating arrangements. 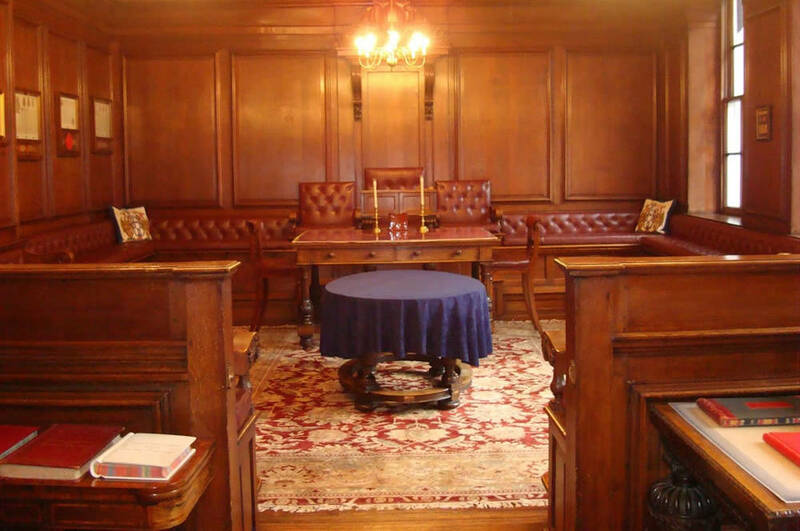 It’s presented as a true court room, complete with Master’s dais and a sliding Bar at its entrance, which is drawn only for Court members. The Court Room is used for small meetings.